If I do say so myself, Steve and I make a pretty good team. While I've been busy painting, he's been honing his talents at hand-making wood frames (he has also become quite skilled at cutting mats, I might add). 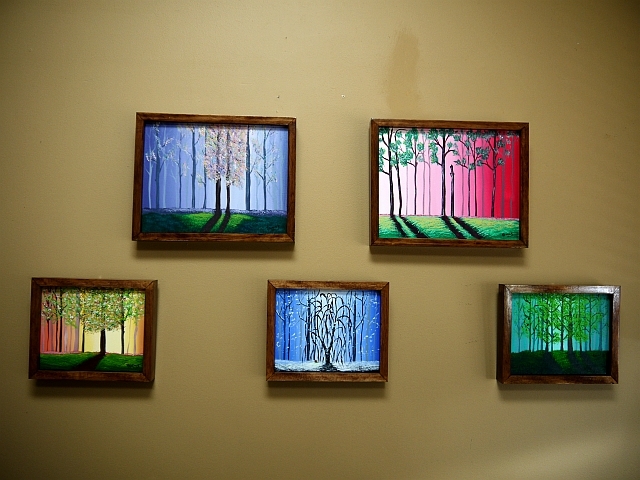 He does some very impressive work - taking raw wood and turning it into gorgeous fully finished handcrafted frames. 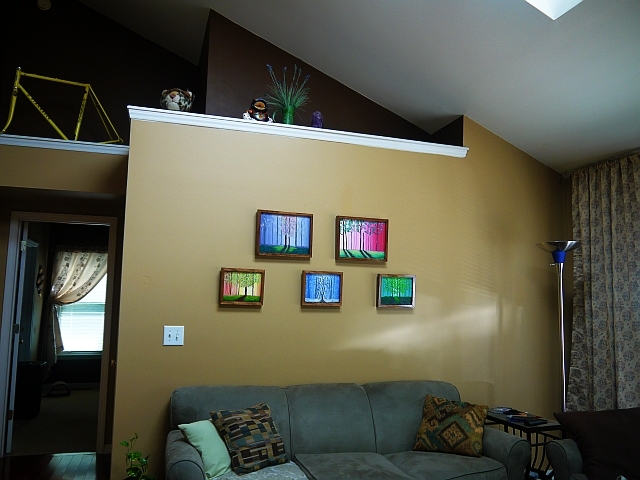 In my humble opinion, his beautiful handiwork gives a delightfully clean and finished look to my canvases and I'm thrilled with the results. Below is a close-up look at the acrylic-on-canvas Fairytale Forest Series in their new custom handmade wooden frames that Steve built, stained, varnished and attached all backing and hanging hardware himself. How lucky am I to have such a talented husband who makes my works look so nicely finished?! I hope to have more of our handiwork posted soon!